The blimp is part of a September marketing plan that includes a fundraising element for St. Jude Children’s Research Hospital. 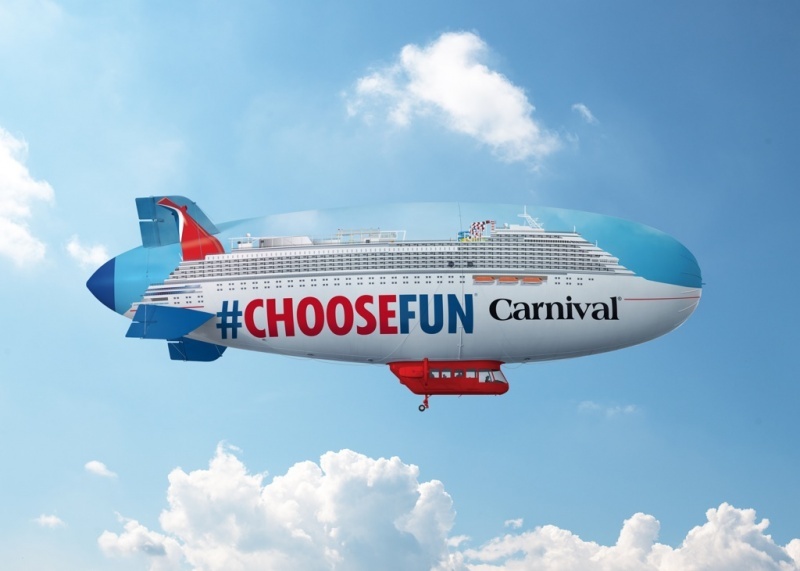 If you happen to spot the Carnival AirShip, take a photo and post it to social media with the hashtag #ChooseFun. Your post will earn a donation to St. Jude’s and earn you a shot a one of the prizes being awarded, which include a free cruise. The Carnival Airship is scheduled to be in Miami area September 16 – 20 to coincide with the brand new Carnival Horizon’s debut sailings from Miami.